Kalle’s graduation work from the Child Culture Design master program at The School of Design and Crafts in Gothenburg. 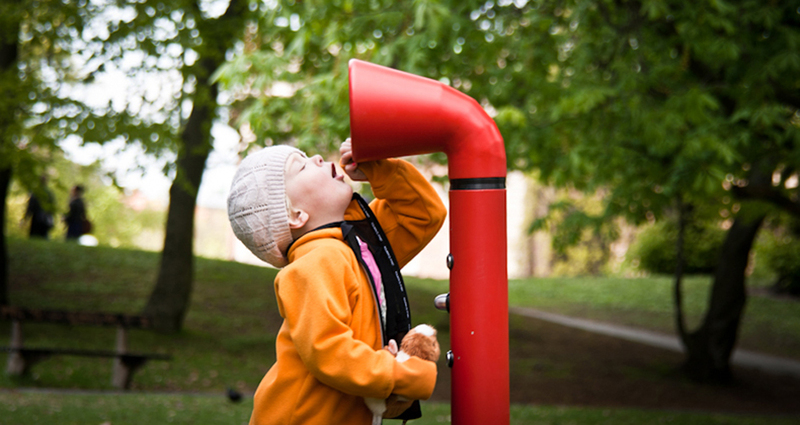 Invoxicated is an interactive play sculpture where children and adults can play with sound. 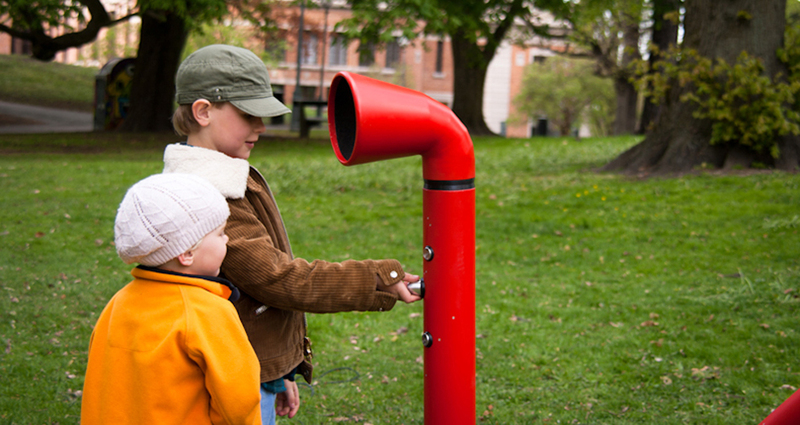 The sculpture takes in sound through one end and feeds out processed sound in the other. 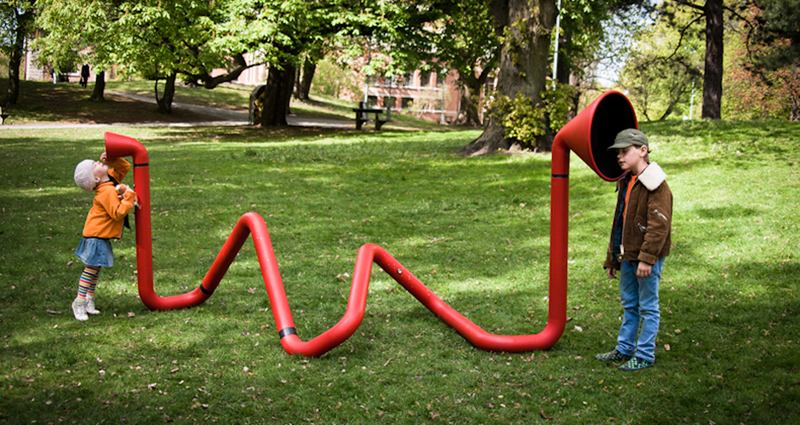 By physically interacting with the sculpture you change the sound that you have fed it with. 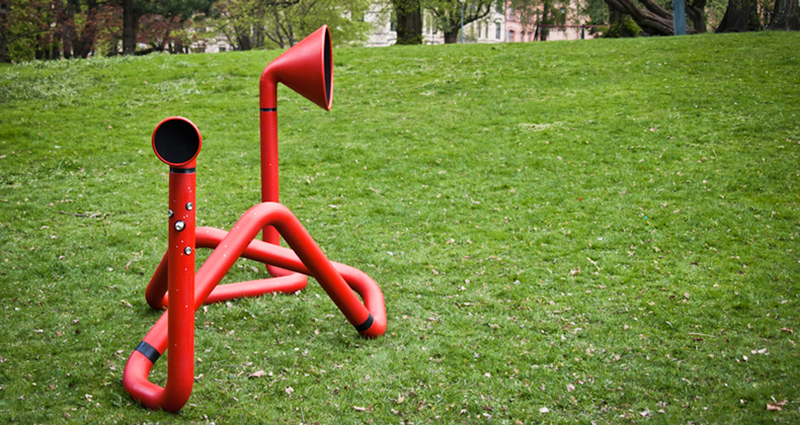 The shape of the sculpture is my visual interpretation of the sound. 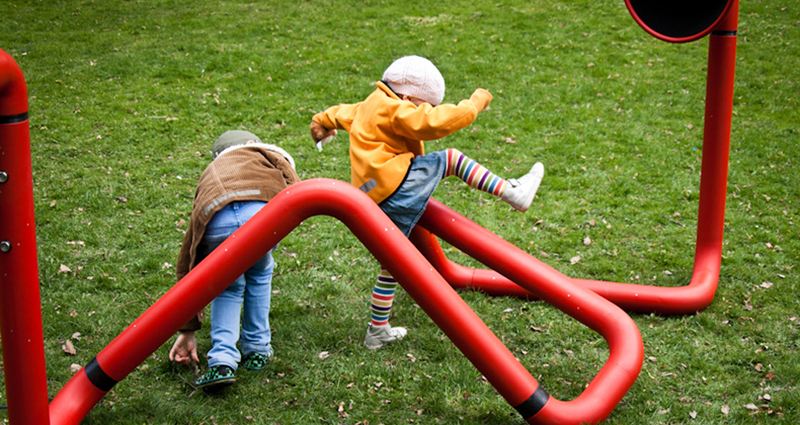 I wanted it to look like it is the sound travelling through the sculpture that has shaped it. Check out the video if you want to see how it works.